To Christians this is the most important festival of the year, celebrating the resurrection of Christ. As such, it is the most powerful symbol of new beginnings. 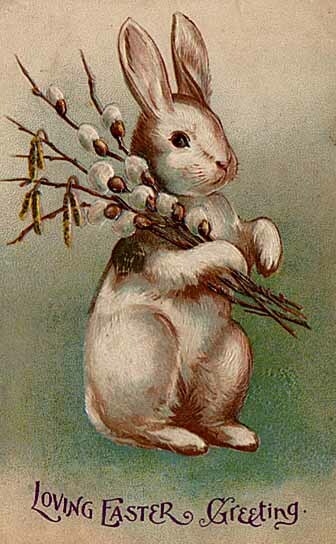 The timing of the Easter Festival is no accident, with many pointing out that it falls around the Equinox when many traditions celebrate the arrival of Spring. The association with bunnies and eggs, strong symbols of fertility and re-birth underline the message that this is a time to consider how we begin again. Every time you find yourself speculating about the future, replaying the past, or getting wrapped up in self-criticism, shepherd your attention back to the actual sensations of the breath. If it helps restore concentration, mentally say “in” and “out” with each breath, as suggested earlier.) Our practice is to let go gently and return to focusing on the breath. Note the word “gently.” We gently acknowledge and release distractions, and gently forgive ourselves for having wandered. With great kindness to ourselves, we once more return our attention to the breath. If you have to let go of distractions and begin again thousands of times, fine. That’s not a roadblock to the practice—that is the practice. That’s life: starting over, one breath at a time. So this Easter remember to Begin Again - not just once, but as often as you need to. Recognize that the realization that you have to begin again is a magic moment, and celebrate it as such! The following fully guided meditation allows us to experience the magic of beginning again.